With over 100 years of combined experience, the professional team at Best Buy Windows and Siding understands how important your home improvement tasks are. We have been selling and installing custom windows, vinyl siding in Benbrook, and professionally designed patio covers for over 30 years in North Texas. We take pride in doing our job and knowing our customers are satisfied with the work we have accomplished. 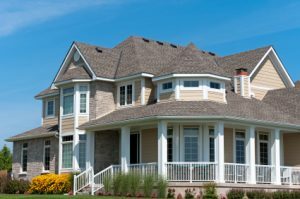 By working with numerous types of windows, the highest quality vinyl siding in Benbrook, and custom-designed patio covers, our technicians have expanded their abilities and knowledge tenfold through their years of service. With that experience working for you, higher energy efficiency and improved insulation for your home or office are easily obtainable. Our team will work directly with you to ensure your needs are met promptly. On top of that, we offer expert advice to ensure all installation or windows replacement in Benbrook we perform will hold up over time. Once you understand the work that we will perform and we understand your home improvement needs, we can offer a concise quote of our services. We put customer satisfaction above all else, and with that goal in mind, we offer upfront pricing without hidden fees involved. Located in Tarrant County on the southwest edge of Fort Worth, Benbrook delivers an exceptional blend of uniqueness not found in other cities. It provides growing companies an excellent location in North Texas with a strong, pro-business municipal government, fantastic city services, and one of the three lowest crime rates in Tarrant County. For families, Benbrook is clean and open with quiet neighborhoods, excellent recreational facilities, strong schools, and proximity to all the cultural and sporting events the Dallas-Fort Worth Metroplex has to offer. Benbrook offers the right balance of country living at the city’s doorstep! If you’re interested in a free consultation visit with one of our experienced installation technicians, call Best Buy Windows and Siding today at 214-736-9971. We’d be happy to assist you in any manner possible! Trust our windows replacement in Benbrook for your next home improvement project!